It happens every year. When the leaves start to change colors, when pumpkins start appearing in our windows and in our lattes, it means that October birthdays are just around the corner. 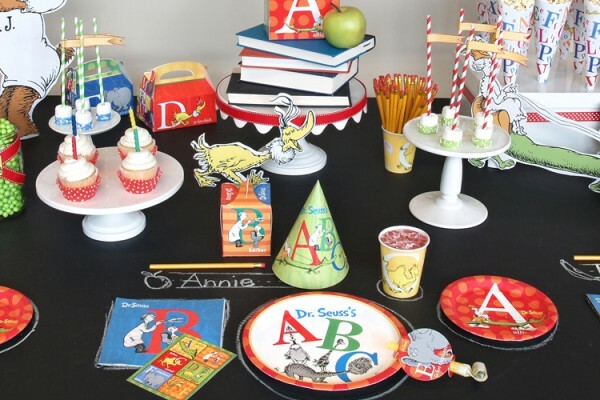 And for generations, kids born in the 10th month of the calendar have had their birthdays swept aside by the encroaching phenomenon that is All Hallows’ Eve. 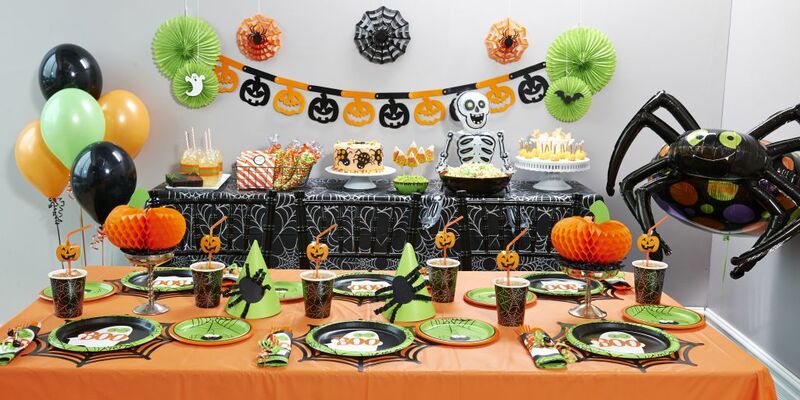 But this year, if you’ve got a little one with a birthday near Halloween, why not throw them a super spooky Halloween birthday party this year, a combination of cake and costumes they won’t soon forget! Frightful Fun and Haunted Night! Frightful Fun is great for younger kids, with adorable big-eyed ghosts and cartoon smiling spiders. It also heavily features the color green to offset the more traditional orange and black. 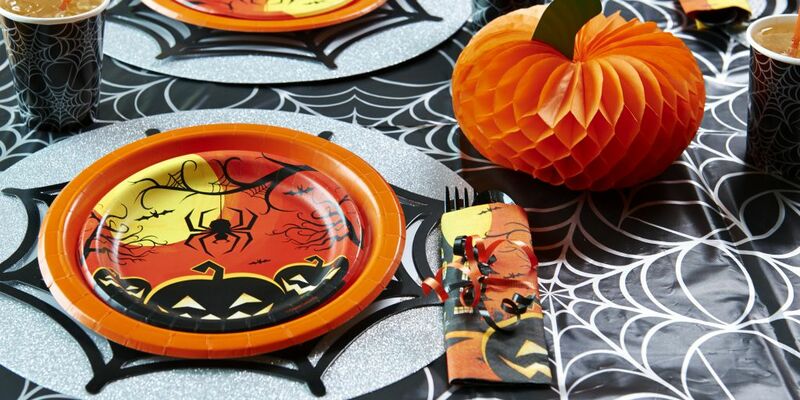 Start off with an orange tablecover, then add black spiderweb placemats, as well as supercute dinner and dessert plates. 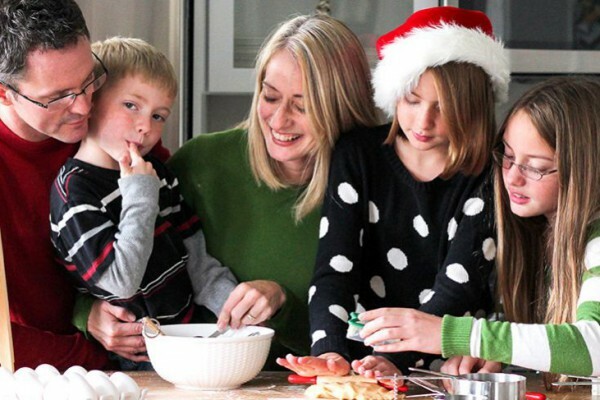 Fold a napkin into thirds and insert plastic cutlery, then wrap the whole package in curling ribbon. 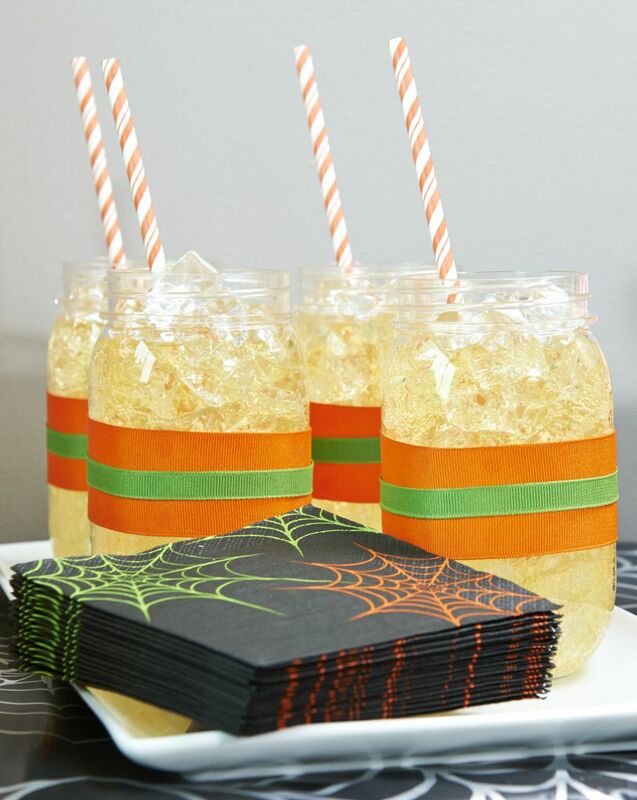 These spider web cups get a little infusion of color when you add a pumpkin straw. 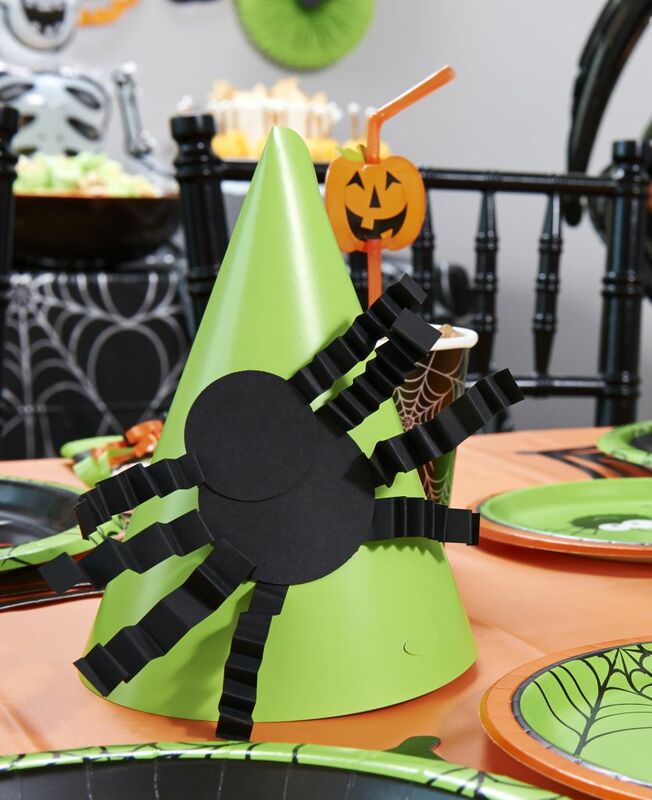 We made spiders out of construction paper and glued them to a classic cone paper party hat. Hope you don’t suffer from arachnophobia! 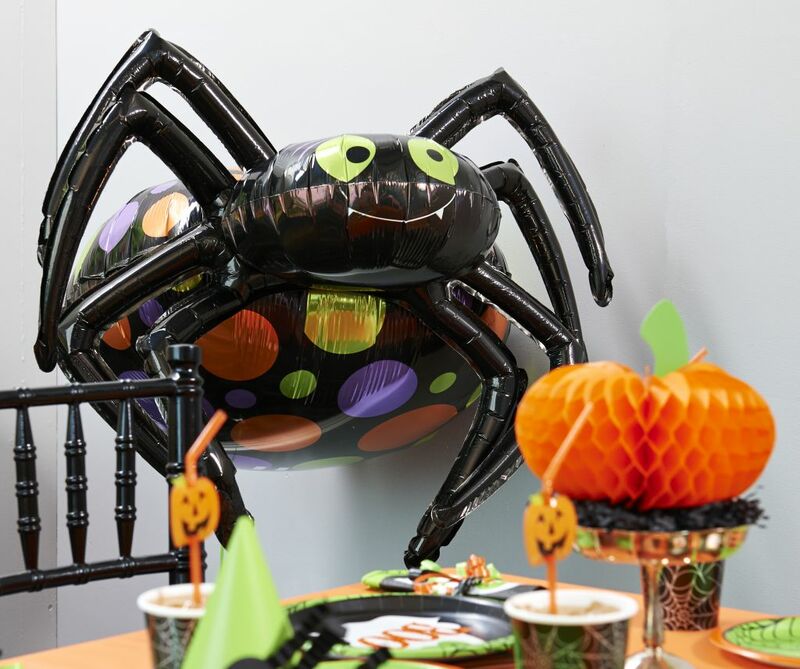 Even people who are scared of spiders will love this adorable eight-legged foil balloon! 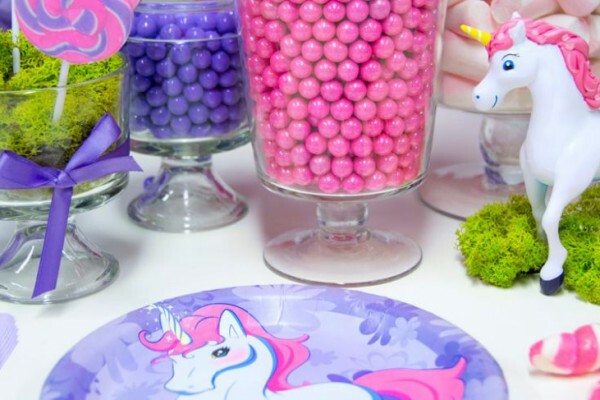 For fun and tasty treats, try these ideas! 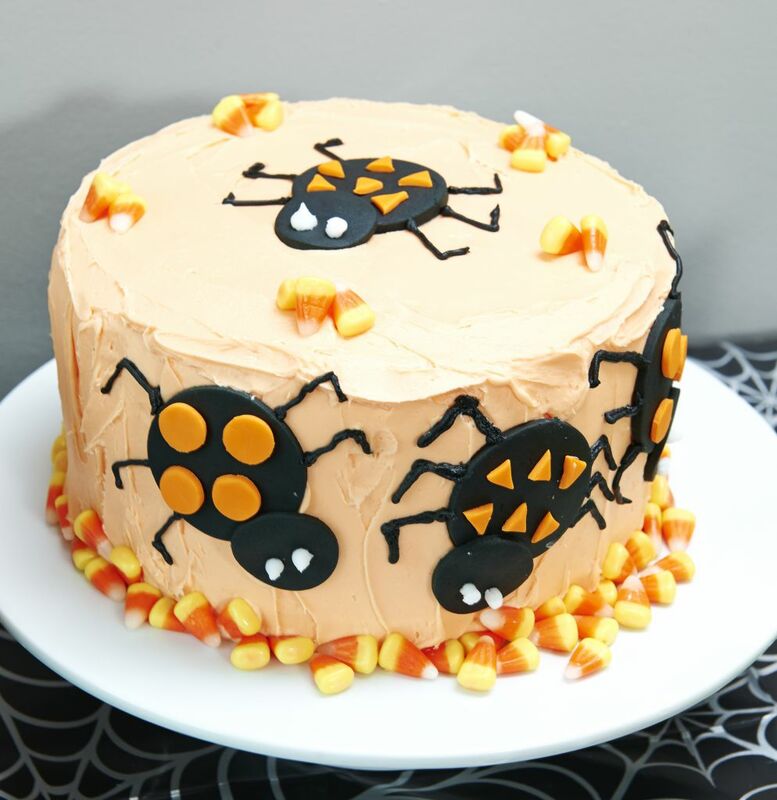 This cake is covered with spiders (and candy corn), but that doesn’t mean it’s not delicious! 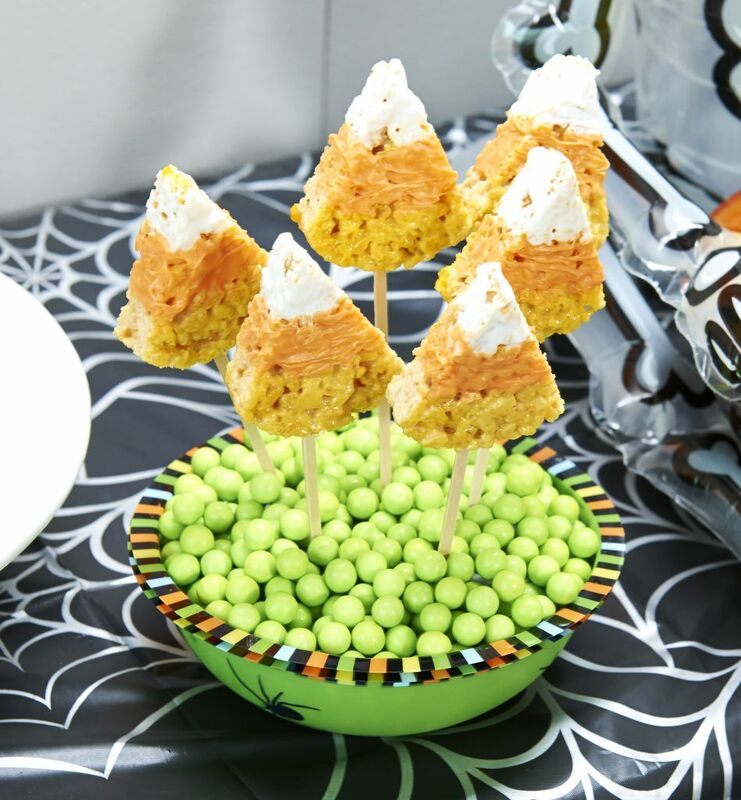 These candy corn Rice Krispy treats are made by adding some yellow food coloring when mixing the ingredients together, then “painting” them with melted orange and white chocolate. We wrapped mason jars in orange and green ribbon for a color coordinated look. 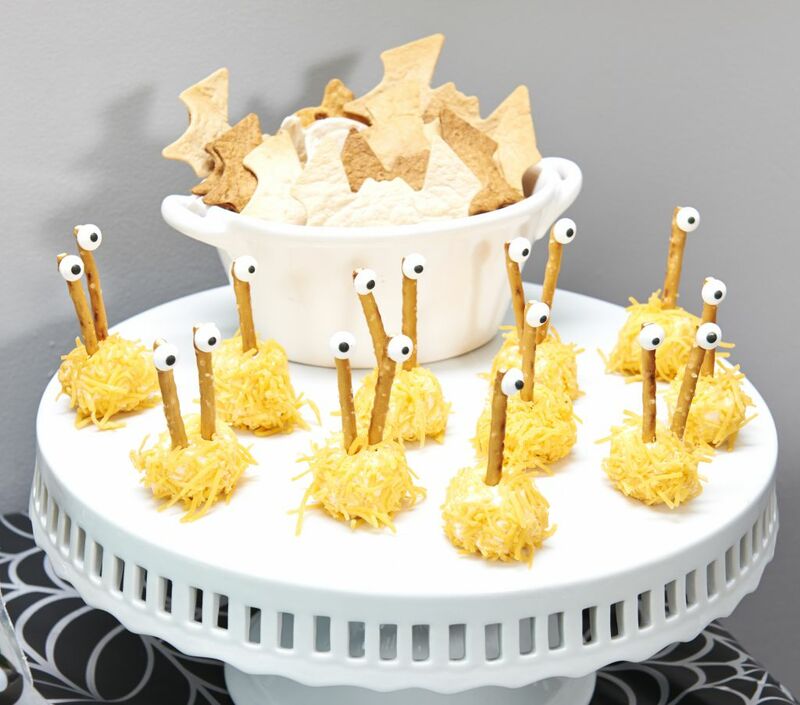 These cute little guys are made from a ball of cream cheese, rolled in shredded cheddar and skewered with pretzel rod antennas topped by candy googly eyes. Don’t forget the bat shaped pita chips for dipping! 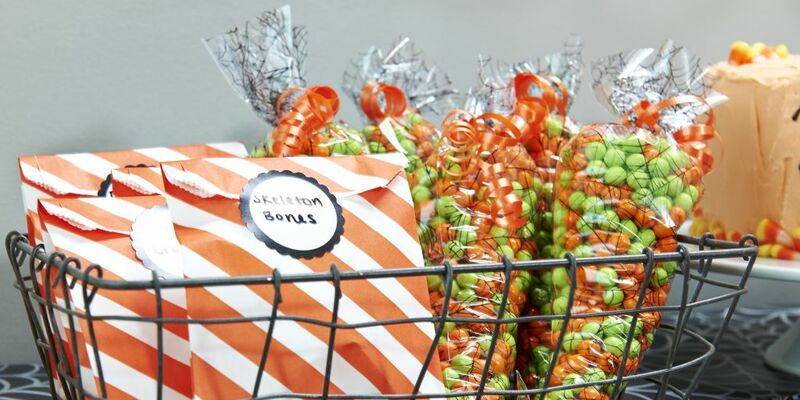 For more treats, and even more color-coordination, we filled spider webbed treat bags with orange and green Sixlets chocolate candies. 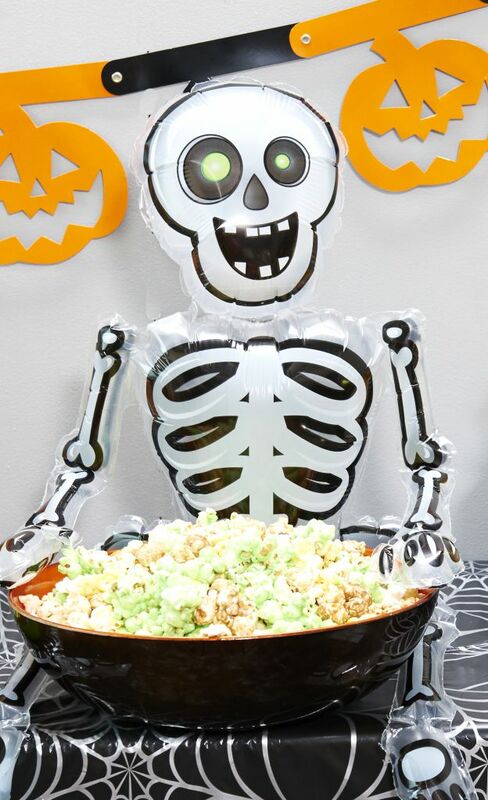 As a finishing touch, we propped up this skeleton balloon as the popcorn gatekeeper. If you want some delicious popcorn, you’ve got to go through him first! 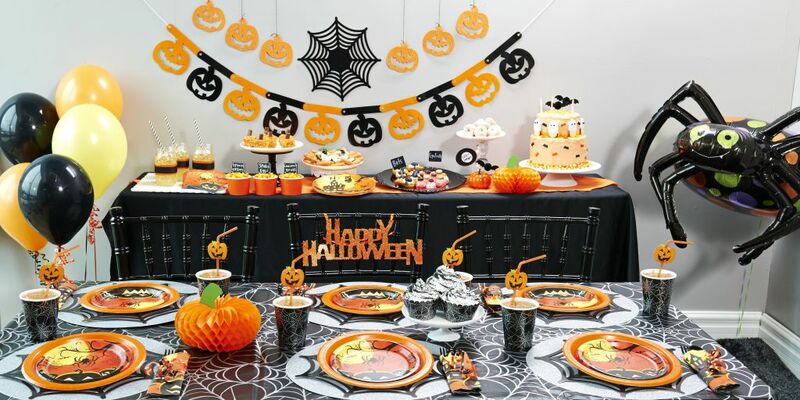 Haunted Night is a more traditional theme, with orange and black heavily featured in the color scheme, along with shadowy silhouette designs. 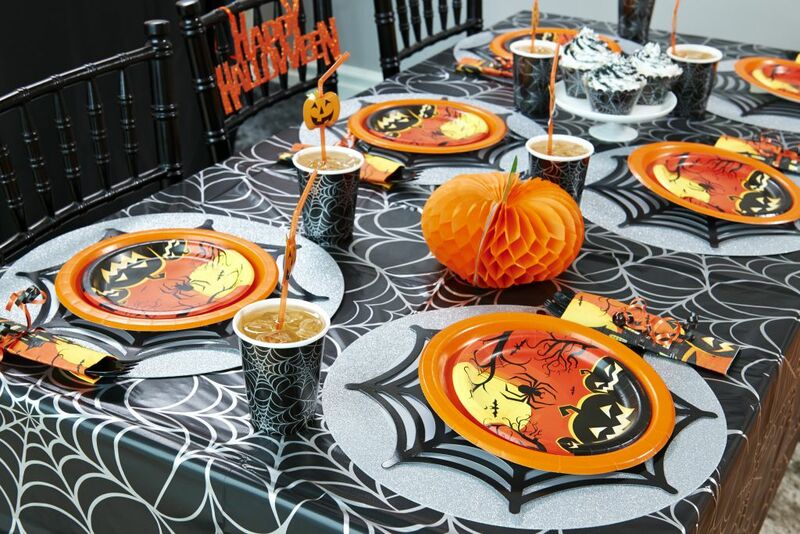 This spider web tablecover perfectly matches the spider web cups, and these placemats were made by combining spiderwebs with silver circles. 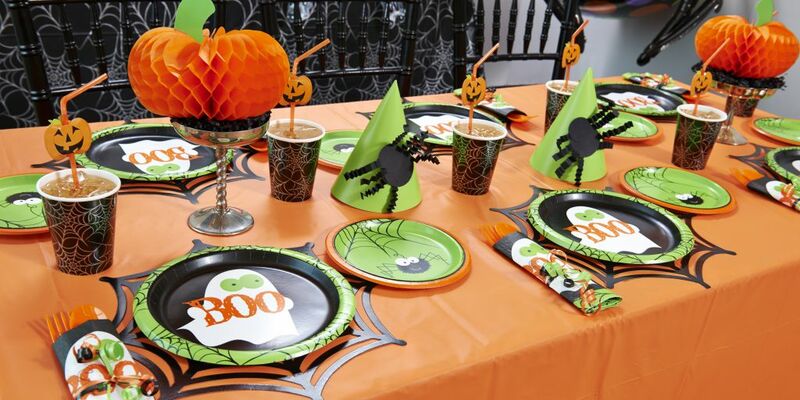 The Haunted Night theme features festive plates and napkins. We also offer these super cute pumpkin honeycomb paper centerpieces. 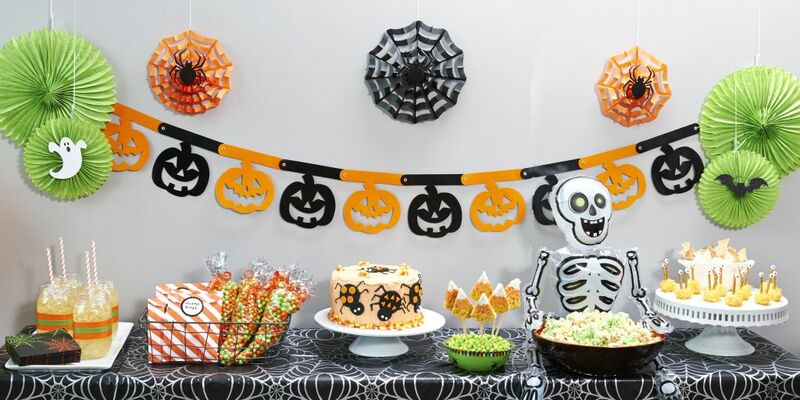 Before we get to the delicious snacks, check out this classic jointed pumpkin banner, perfect to use as the feature item of your Halloween party decorations. 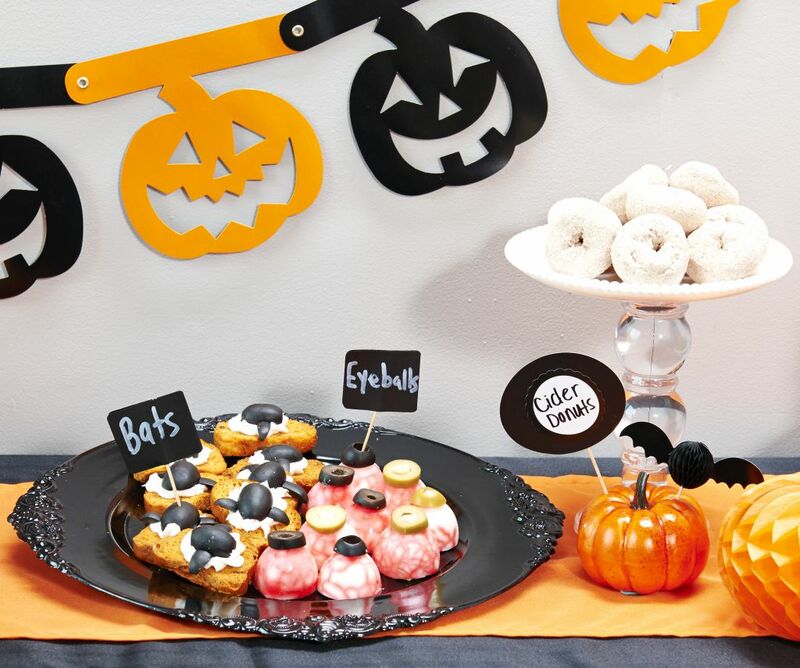 These “Bats” and “Eyeballs” aren’t really ingredients from a witch’s kitchen. It’s just cream cheese and olive bruschetta and hard boiled eggs with olives and some creatively applied red food dye. Apple Cider Donuts make for a sweet treat palate cleanser after all those salty eyeballs. 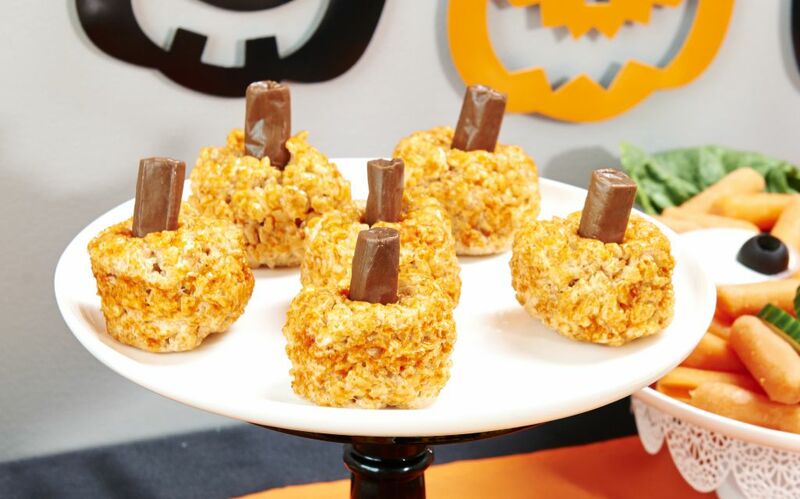 These amazing Rice Krispy Treat pumpkins are made by simply adding some orange food dye to the melted marshmallows before mixing them with the Rice Krispies. A Tootsie Roll makes for a pretty accurate (and much better tasting) substitute pumpkin stem. 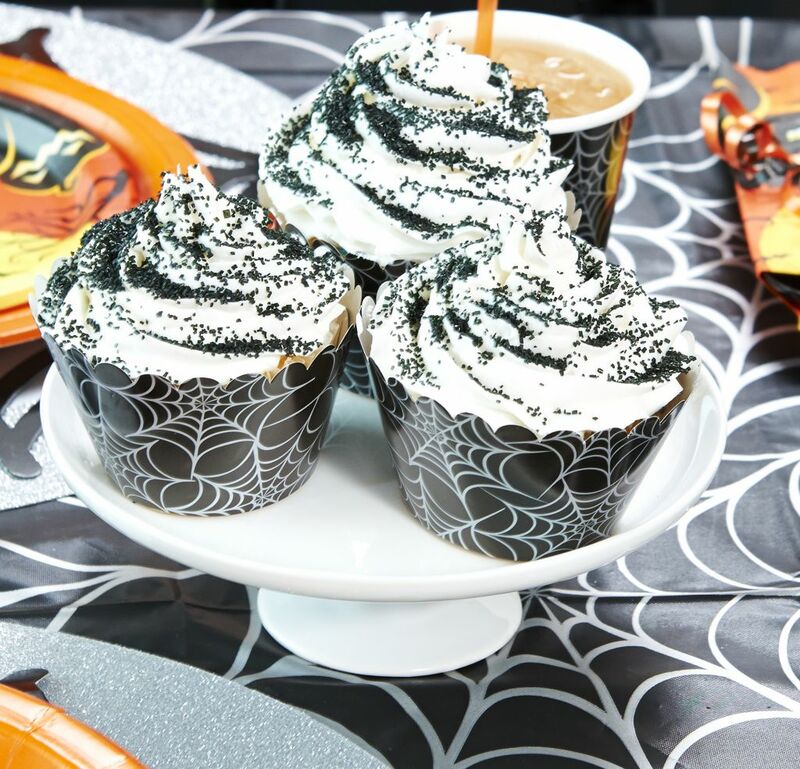 These store-bought cupcakes are dressed up for Halloween in spider web cupcake wrappers. They’re ready to party. 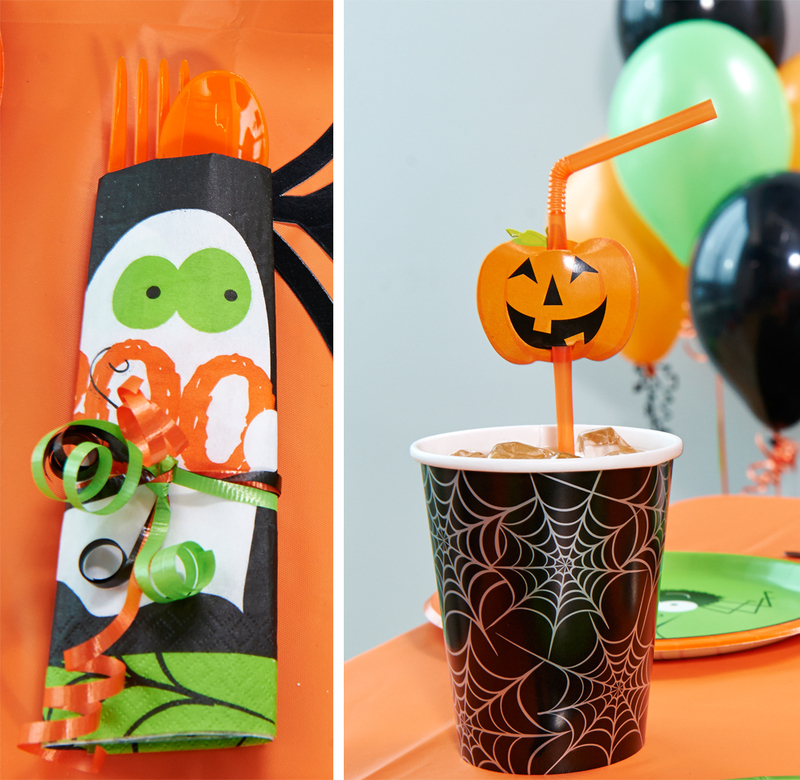 Click here to see all of the Halloween party supplies available at Birthday Express! 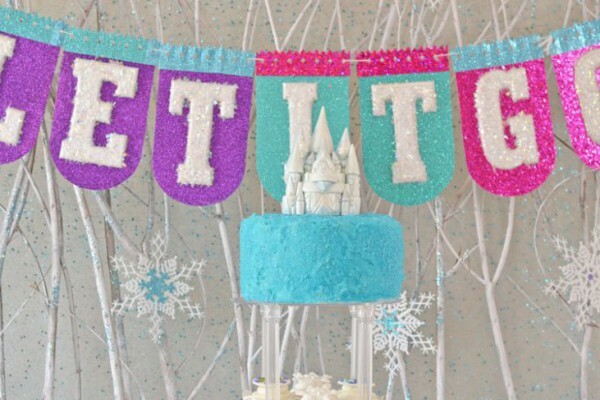 Have we inspired you to throw the perfect Halloween birthday party?